THE SAINTS GO MARCHING ON once more in winning fashion, and this weekend it was at the expensive of league contenders Golspie Sutherland who were beaten in convincing fashion at the Links yesterday. An attack minded lineup was named with messrs Justin Rogers, Liam Rostock, Scott Miller and Jake Lockett each sharing places in the starting eleven for the first time this season. Stuart Ross also welcomed Matty Shewan back into the side at right back, while defender Will Ross returned to the squad for the first time this season on the bench. The game started with St Duthus enjoying the best of possession in the early going and on five minutes Scott Miller was first to test Graeme Williamson with a shot from the edge of the box, which was held at the near post. Saints remained on top for the opening twenty minutes of the game before a Marc Coghill effort tested but ultimately failed to trouble Ali Matheson in the home nets. The breakthrough eventually came for Golspie on the 40 minute mark. Breaking clear of a series of tackles, Marc Coghill curled the ball beyond the reach of Matheson to make it 1-0 for the visitors. Golspie had the opportunity to double their lead before the break with a good chance for Robbie Murray, but the young forward failed to hit the target, drilling his effort wide of the post. Saints started the second half with determination and ten minutes in Liam Rostock was unlucky with a speculative volley which was held by Williamson. Four minutes later, a short free kick from Justin Rogers was fired goalward by Paul Beaton and it stung the palms of Williamson who turned the ball away for a corner. Scott Miller, continuing to bang on the door, nearly found the equaliser on 66 minutes when he tried to lob Williamson, but the keeper was alert to the try and held well. The leveller eventually arrived on 81 minutes. A Paul Beaton free kick was expertly headed back across goal by Robbie Murray and meeting the ball inside the box, midweek signing and Man of the Match Charlie Macdonald headed home to make it 1-1. The goal was every bit of what the Saints deserved for a battling second half performance. It could have been 2-1 just four minutes later when a Jake Lockett crossed was almost turned into the net by Golspie's Gavin Sinclair for what would have been an unfortunate own goal. A momentous comeback was completed with two minutes of normal time remaining. 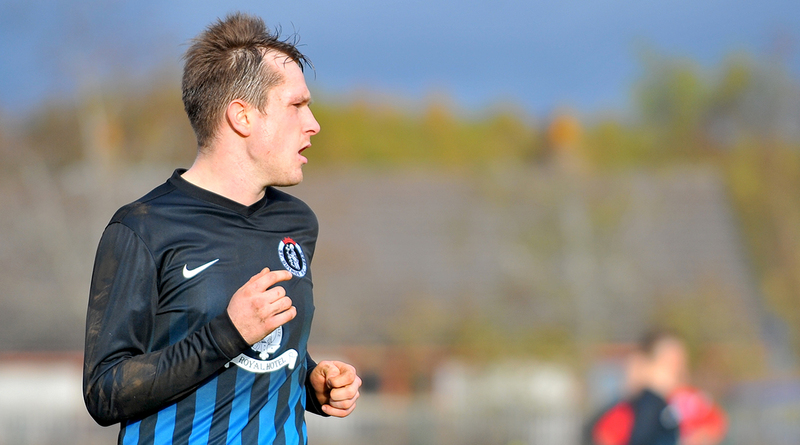 Involved again, Paul Beaton sent a cross into the box and from a clearance Calum Neil shot goalward. 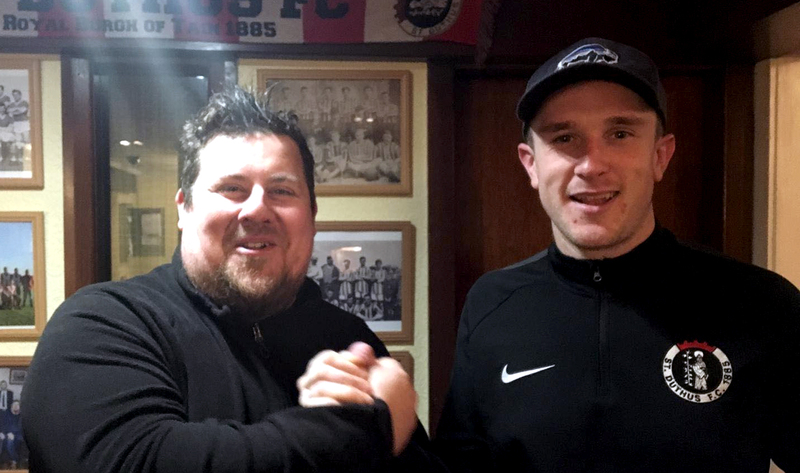 His effort was deflected into the path of Scotty Miller who made no mistake, slotting past Williamson to send the St Duthus dugout into rapturous celebrations. A fantastic performance was puntuated in the final moments of injury time with a stunning save from Ali Matheson who prevented Ally Macleod from rescuing a point, and ultimately secured the win for Saints.